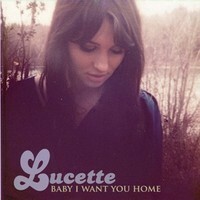 Last year, I saw 21-year-old singer/songwriter Lucette play at The Ruby Lounge in Manchester, where she was supporting The Secret Sisters. I was knocked out by her gorgeous voice and the way in which she turned her hand to country, pop, folk and blues. For someone so young, she has an impressive list of influences, from Bobbie Gentry to Ryan Adams, Townes Van Zandt and traditional murder ballads. Now she’s gearing up for the release of her debut album, which is due out later this year. I spoke to her recently to find out more about it. It’s been a while since we met each other in Manchester. What have you been up to since then? Quite a bit actually. I’ve written and recorded a brand new album. Just after I left the UK and Ireland last year, I flew down to Nashville and recorded six new songs. Also, in the summer of last year, I made a music video for my song Bobby Reid. 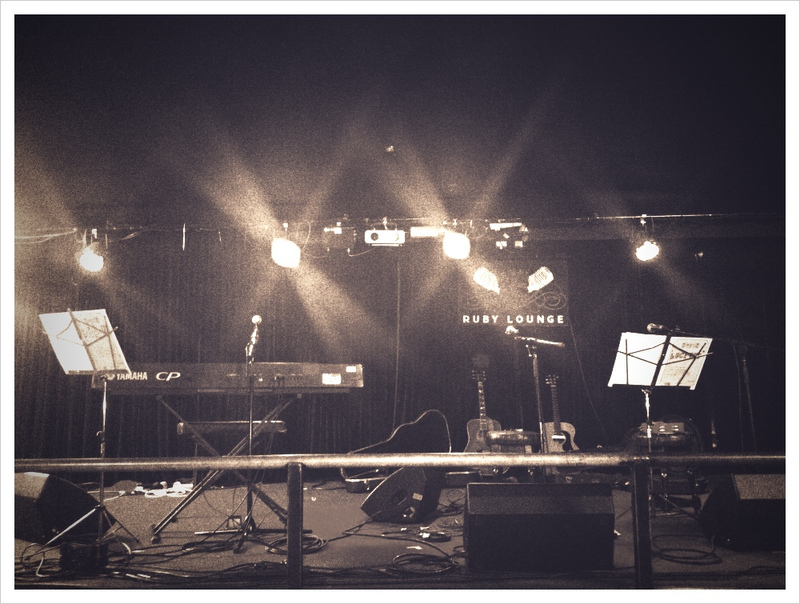 I was really impressed by your live performance. You reminded me of Bobbie Gentry, vocally. Is that a good comparison? It’s funny you say that, as I’d actually cite her as one of my biggest influences, especially in my writing. Her Ode to Billie Joe record is one of my favourites and it’s a good clue as to what my album will sound like. I liked your live cover version of Ryan Adams’s Sweet Carolina. Are you a big fan of his? I’d say he’s in my top five, if not my favourite. So I guess you could call me a fan. Heartbreaker is my favourite album. Mine, too. Your debut EP, Baby I Want You Home, came out last year. How was it working with producer Dave Cobb, who’s also worked with Waylon Jennings and The Secret Sisters? Dave is unbelievable to work with. He’s really helped me to become the artist I’ve always wanted to be. I’d almost be inclined to call him a really cool, older brother, who leaves new records out for you and tags you around with his friends, or something. I think we are like family, too. We’ve gotten to know each other so well that I will literally fly into Nashville and we’ll take a song of mine, or write a new one, and record it within days. I think we just get each other. Your debut EP is really varied. The title track is ’60s pop, there’s country (Dream With Me Dream) and also a dark, haunting murder ballad – Bobby Reid. Who and what are your main influences as a songwriter? Two years ago, when I was writing a good portion of the album, I was really into ’60s country-pop artists like Skeeter Davis. While recording, I wrote the song River Rising, which sprouted into other folky, darker songs like Bobby Reid. There’s this really cool quote by Flannery O’Connor that says, “I write because I don’t know what I think until I read what I say”. I love that quote because I feel like I relate to it. The darkness and melancholy in my music comes from my most inner thoughts. I think these fictional stories like murder ballads, about dark characters, are a part of myself that I didn’t embrace until writing stories in song. I’d say Bobbie Gentry, Ryan Adams, Gillian Welch, Neil Young, and Irish ballads and traditional music have been the greatest influences on my writing. What was it like recording in Nashville ? As cheesy as it may sound, it was seriously a dream come true. I got to write with a cowboy called Brent Cobb. Within my first week of arriving it was like, okay, I’m actually recording in Nashville, and I’m writing with a cowboy with a dip in his lip. Dave really cares about making good, organic, and memorable music. Working with Dave and other musicians on my album reinforced that I was in the town where the best of the best recorded. It altered the way I look at making records and changed the course of the rest of my career. When can we expect to hear your new material? Will the album come out soon? I’m hoping to release it sometime in the spring of 2013. I’m aiming for April. What was it like growing up in Edmonton? What sort of music did you grow up with? Did you sing and play piano when you were a child? Edmonton is probably the best place for a kid to grow up. Similar to Nashville, it has a small town/big city vibe. I went to Catholic church every Sunday, which I think had some sort of weird influence over the way I write.When I was little, I always dreamed of being like Shania Twain – I really wanted a denim-on-denim outfit like hers. I grew up mostly on country. Alberta is Canada’s cowboy country, and I loved that culture growing up. My grandmother introduced me to Elvis, Patsy Cline, Dolly Parton and Loretta Lynn, who are still some of my favourite artists. Then I got into Townes Van Zandt, Johnny Cash, The Beatles and Simon & Garfunkel. I never sang in front of anyone, only in church when I was trying to behave. I started piano lessons at eight years old, but I quit after a couple of years. I picked it up again in junior high, putting speakers next to the piano and figuring out songs by ear. What music are you currently into? Hmm. I really like Hem, Father John Misty, my good friend Meg Olsen (she just released her new EP), and The Carter Family. But then there are always my staples, which were mostly mentioned throughout this interview, but also include Amy Winehouse, Aretha Franklin, the Everly and Louvin Brothers, Neil Young, Ray Lamontagne and, of course, The Secret Sisters. What are your plans for the rest of 2013? Well, after this album and video are released, I hope to tour as much as I can. Everything is in the works right now though, and boy, am I excited.